In a large bowl, whisk together all ingredients and let it rest for at least 5 minutes. Heat a skillet over medium heat and cook it like a pancake until browned, then flip. In a blender or food processor, mix all ingredients until smooth. 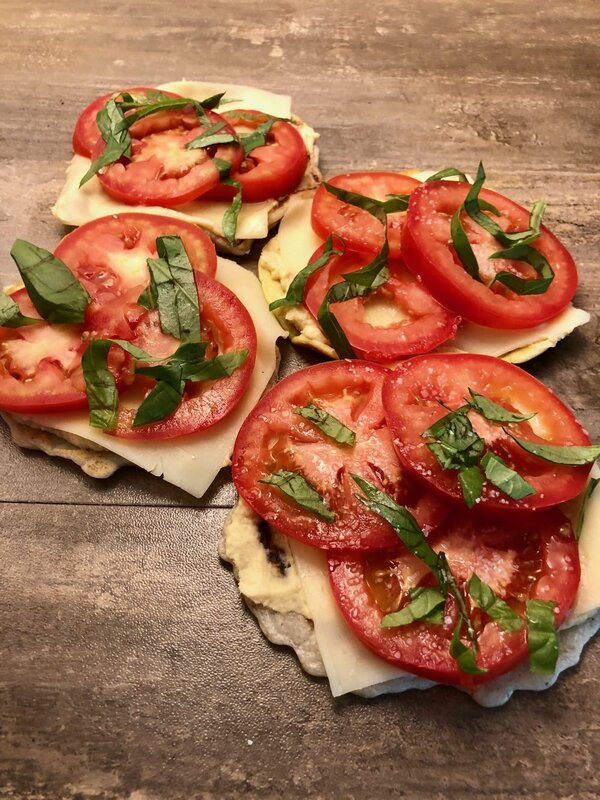 On a piece of the bread, spread a layer of hummus, then a piece of mozzarella cheese, the sliced tomatoes, chopped basil, and lastly drizzle a few drops of balsamic vinegar.